Jimmy Choo Man Ice Eau De Toilette exudes the same pure masculinity, innate confidence and effortless attitude that defines the Jimmy Choo man but his intense sensuality subsides as he succumbs to a more whimsical side. His rebellious attitude and moody masculinity are set against a softer spirit as his passion and humor develop along with the top notes of the fragrance. 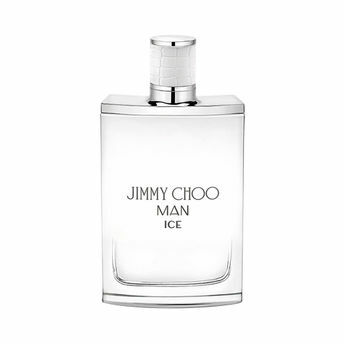 Jimmy Choo Man Ice presents a playful game of seduction between a man and woman captured in an enticing fragrance. Explore the entire range of Perfumes (EDT & EDP) available on Nykaa. Shop more Jimmy Choo products here.You can browse through the complete world of Jimmy Choo Perfumes (EDT & EDP) .